Recently two social events have been held in the parish of Douglas Union with Frankfield. 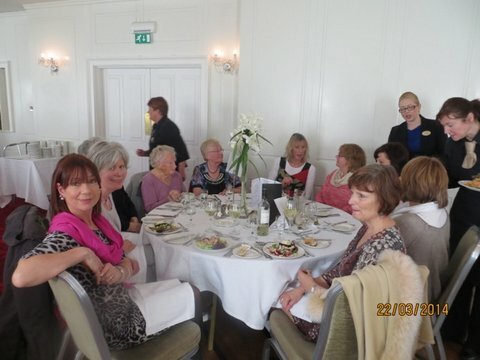 Over ninety women attended a Ladies’ Lunch in the Rochestown Park Hotel on Saturday 22nd March. Everyone enjoyed the meal and conversation. Janet Dillon, the chair of the organising committee, commented that it was a great time of ‘fellowship’ and that it was wonderful so see people of all ages enjoying the event. 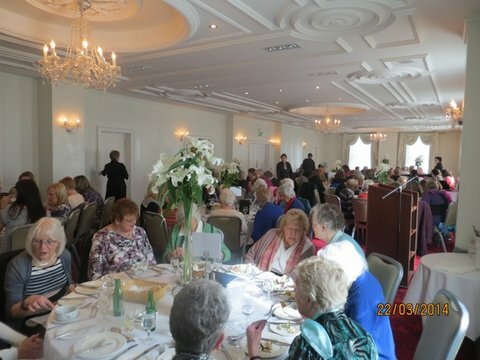 Douglas Union with Frankfield – Ladies’ Lunch at the Rochestown Park Hotel. 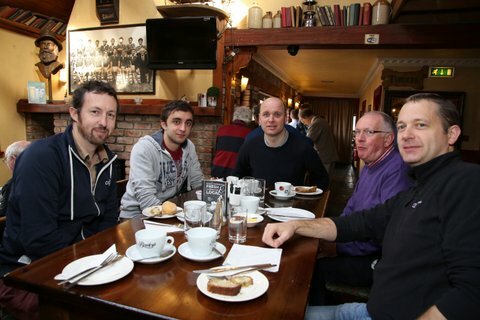 On Saturday 29 March it was the turn of the men as the parish hosted its first ever Men’s Breakfast. 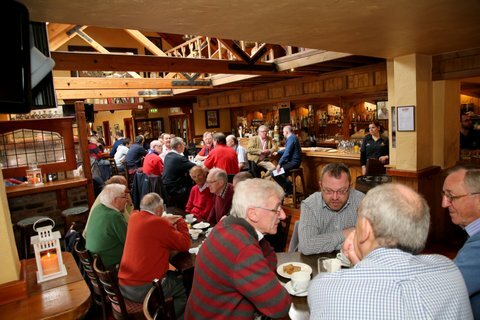 That morning at 9.00am about 80 parishioners met in Bull McCabes Pub on the Airport Road, Cork where they enjoyed a full Irish Breakfast. During the event, the Rev. Michael Cavanagh gave a fascinating presentation on the Men’s Shed Project which he helped to initiate in his parish in Kenmare, Co. Kerry We are grateful to parishioners Howard and Derek Dunne, who opened their premises for us and to their catering staff who came in early that day. Both of these were social and not fundraising events and the unanimous verdict is that they should be repeated next year. This entry was posted in Parish News, People from the Diocese, Social Events. Bookmark the permalink.